It was quite a fun evening. My hair and makeup was taken care of by celebrity beauty expert Marvie Ann Beck. 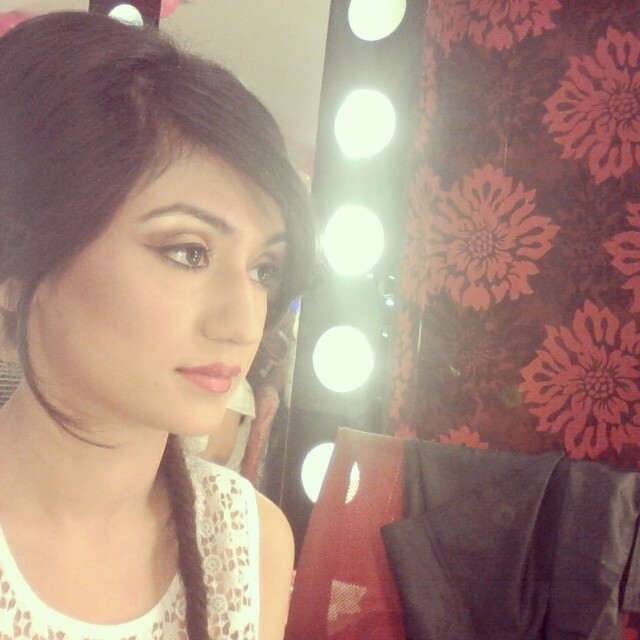 I loved the look I got-braids and bold lips! I was happy to be associated with the rich flavor of Iced Eskimo for the outfit while I got styled by Superdry. Brain Freeze is a combination of crushed ice and refreshingly cooling flavours - Green Apple Meltdown, Berry Berg, Cool Blue and Iced Eskimo! My favourites would have to be “Cool Blue" a syrupy blue blend on crushed ice, and “Iced Eskimo” a slush blended coffee drink. A session of indulging in the new cool flavours along with my all-time favorite CCD's "Smoked Chicken Sandwich," was the perfect end to a painstakingly hot day! Don't forget to step in to your nearest outlet of Cafe Coffee Day to pick up the latest edition of Cafe Chronicles where I would be featured in. 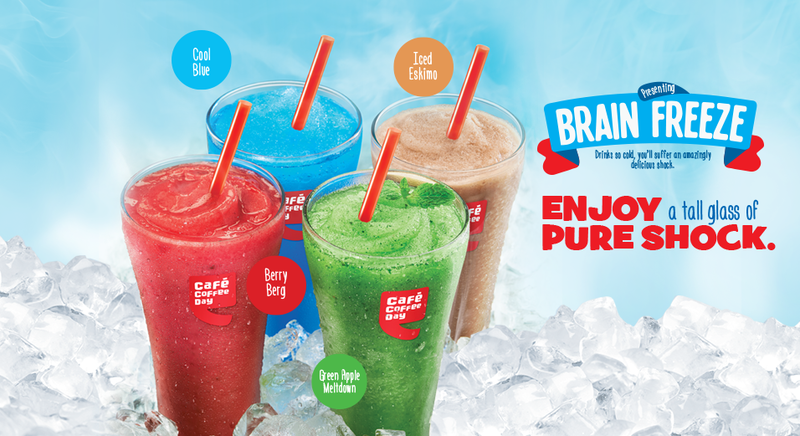 So, have you tried the Cafe Coffee Day’s "Brain Freeze” yet? Which flavour catches your fancy? I think I'd have to go for the coffee flavored one! omg...you look super pretty! !..classy click..!